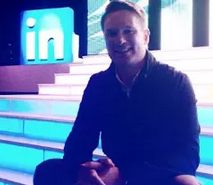 The most successful recruiters know a little extra effort goes a long way in getting a prospect’s attention. Rather than giving a member’s work history a cursory glance and dashing off a quick InMail about the job opportunity, they review their recent public activity on LinkedIn to get deeper insight into their smarts and professional interests, and then send a tailored InMail that is more likely to get a response. You’ll see everything from the members they’ve recently connected to, to long-form posts they’ve published on their profile, to the content they’ve commented on. 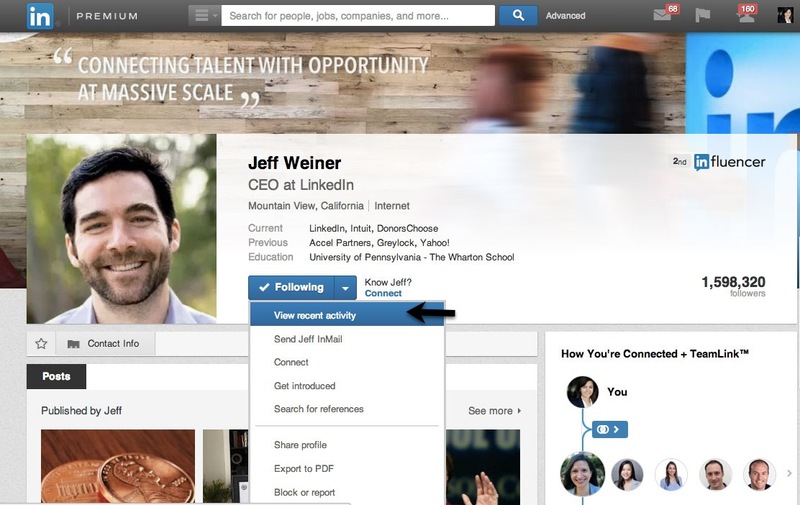 Step 1: Go to the prospect's LinkedIn profile and find the down arrow to the right of the "Connect" or "Follow" button. Click on it and then select "View recent activity"
2. 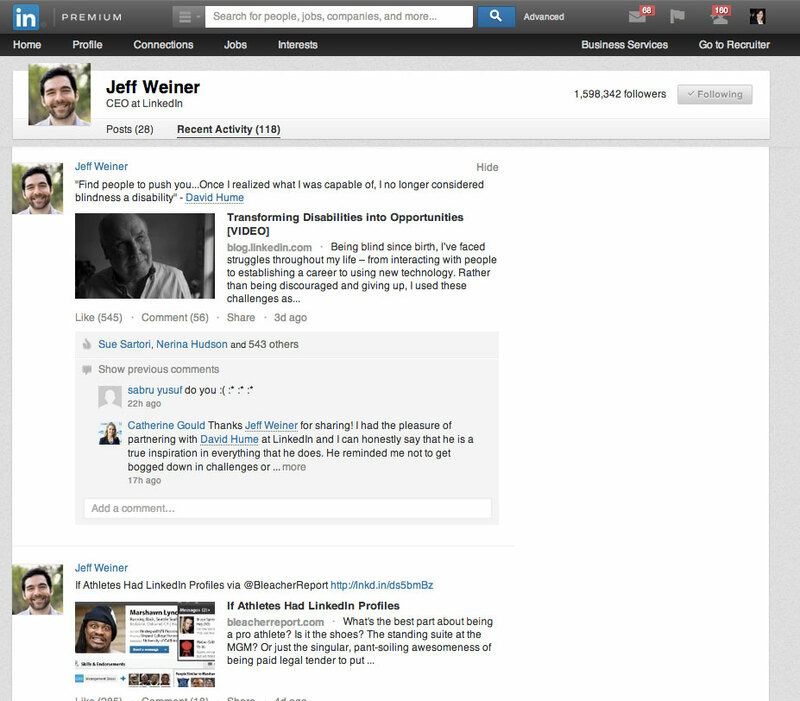 Once the "Recent activity" tab opens, you can see what posts the prospect has shared, liked, commented on or published. Nothing gets a prospect’s attention better than an InMail that shows you took the time to understand who they are, what they’re all about and what kind of opportunity will interest them. So go learn more about the prospects you have your eye on – and then craft an InMail they can’t help but answer.